God is my portion, and my cup: Advent -- Rejoice! Our Savior Is Born As The Humble King. Advent -- Rejoice! Our Savior Is Born As The Humble King. 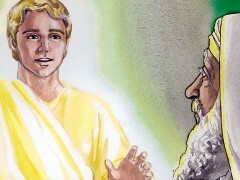 One day Zechariah was serving God in the Temple, for his order was on duty that week. As was the custom of the priests, he was chosen to enter the sanctuary of the Lord and burn incense. While the incense was being burned, a great crowd stood outside, praying. 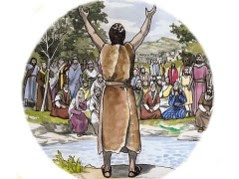 John the Baptist indeed prepared the hearts of the people suffering and in hunger for justice under the Roman’s occupation, and gave hope of Messiah and the kingdom of heaven to the people gathered around him in the wilderness. Mary believed what was told by the angel, and responded, “I am the Lord’s servant. May everything you have said about me come true.” (Luke 1:38a) Her faith pleased the angle, and the angel left her. 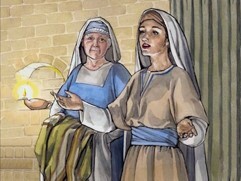 Upon hearing the news about the pregnancy of Mary’s relative Elizabeth in her old age, she hurried to the hill country of Judea, to the town where Zechariah lived. 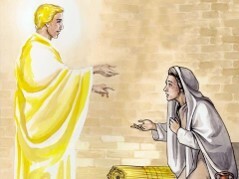 She entered the house and greeted Elizabeth. At the sound of Mary’s greeting, Elizabeth’s child leaped within her, and Elizabeth was filled with the Holy Spirit. 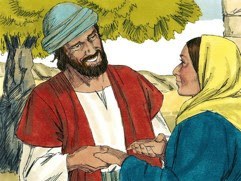 Mary responded with her song of praise, which is known as “The Magnificent.” Mary stayed with Elizabeth about three months and then went back to her own home. When the baby, our Lord, Jesus Christ, was almost due, the Roman emperor, Augustus, decreed that a census should be taken throughout the Roman Empire. All returned to their own ancestral towns to register for this census. And because Joseph was a descendant of King David, he had to go to Bethlehem in Judea, David’s ancient home. He traveled there from the village of Nazareth in Galilee. He took with him Mary, his fiancée, who was now obviously pregnant because the baby was almost due. When the family arrived in Bethlehem, all of the inns were full. They could not find a room, but the found a place where animals were. 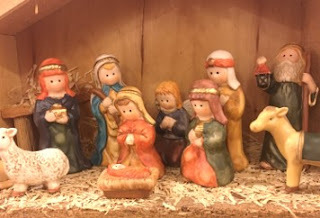 Because the time came for her baby to be born, they stayed night in the stable. She gave birth to her first child, a son, our Savior, Jesus Christ, the Messiah. She wrapped him snugly in strips of cloth and laid him in a manger. Our Lord, the King of kings, was laid in a manger instead of the comfortable crib at a palace. Our Lord, Jesus Christ, came as a humble king. He came to serve, not being served and give Himself as a ransom for the sins of those who believe in Him. The world was quiet, and nobody knew the birth of our Savior in the land of Judea. Our Savior, Jesus Christ came to the world as a humble king, not as kings that we usually know of on earth. Our Savior came not to be served but to serve others and to give his life as a ransom for many. This is the Good News, especially for those who believe in Him! 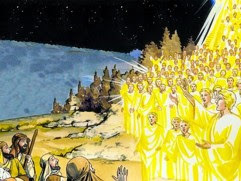 Let’s come to the Lord, and praise with the loudest voice “Blessings on the King who comes in the name of the LORD! Peace in heaven, and glory in highest heaven!” (Luke 19:38) Praise Him! Give thanks to Him!